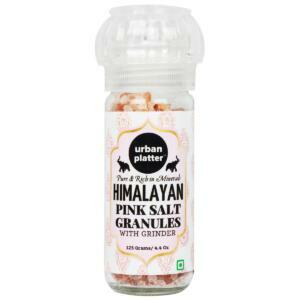 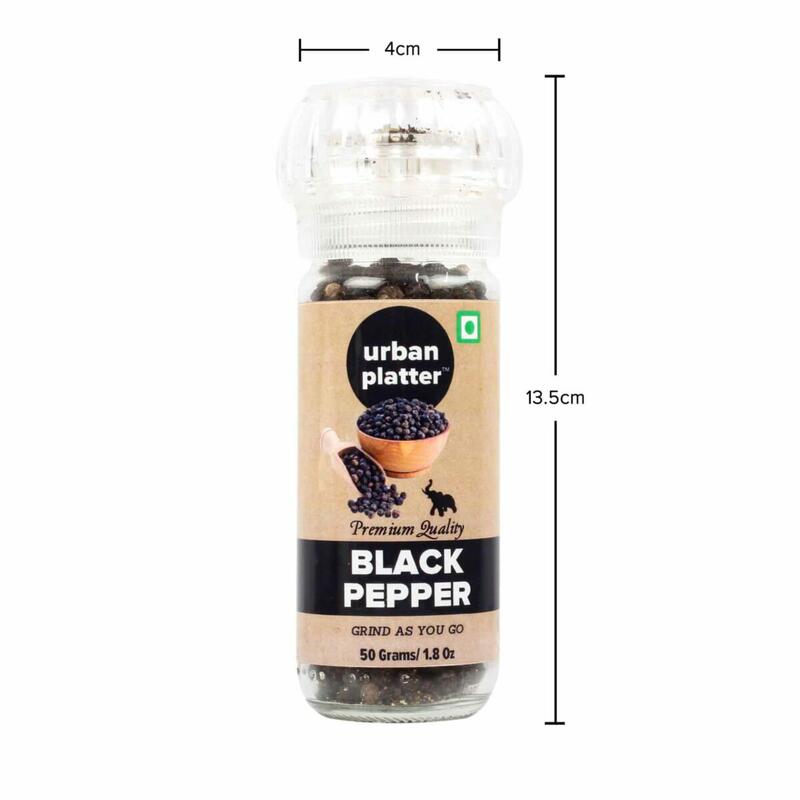 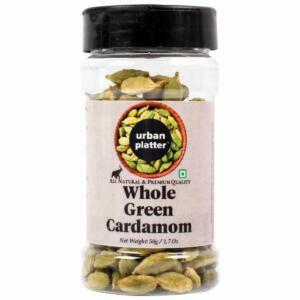 Urban Platter Whole Black Pepper comes in a Grinder bottle. 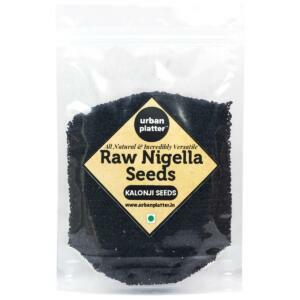 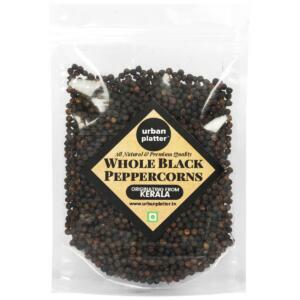 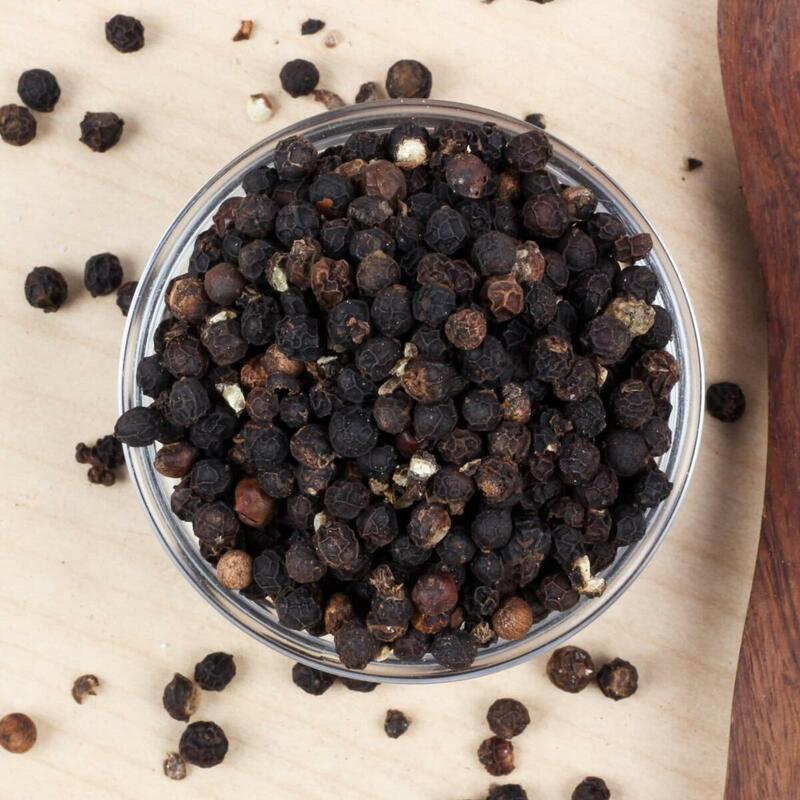 Black Pepper has antibacterial, antioxidant and anti-inflammatory properties, which make it an amazing medicinal spice. 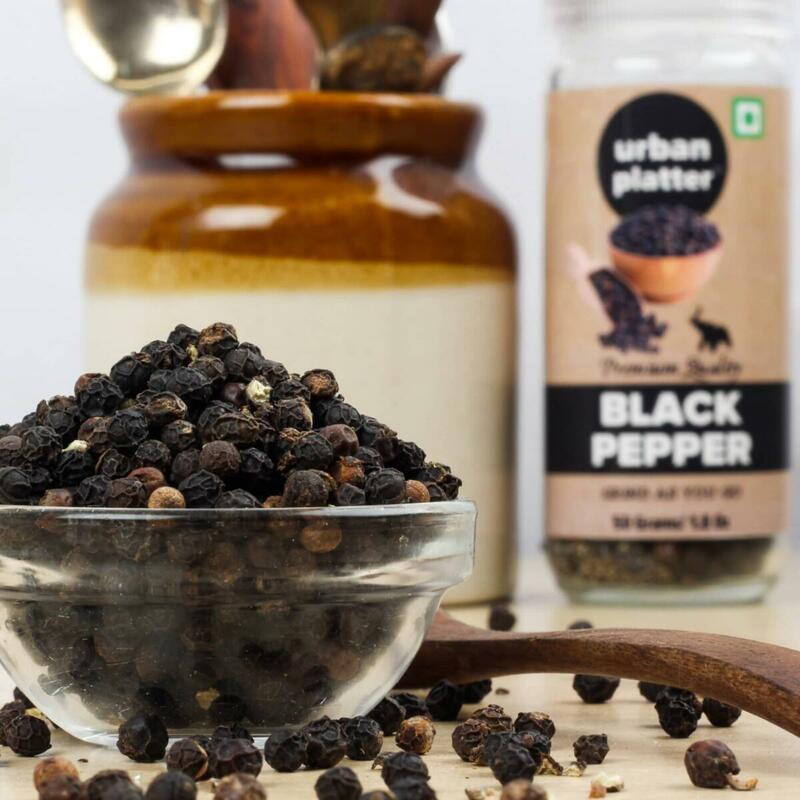 Black Pepper contains potassium, magnesium, iron, vitamin K and vitamin C. Apart from a strong flavor, there are certain benefits of black pepper which must be taken into account. 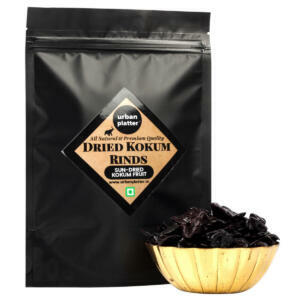 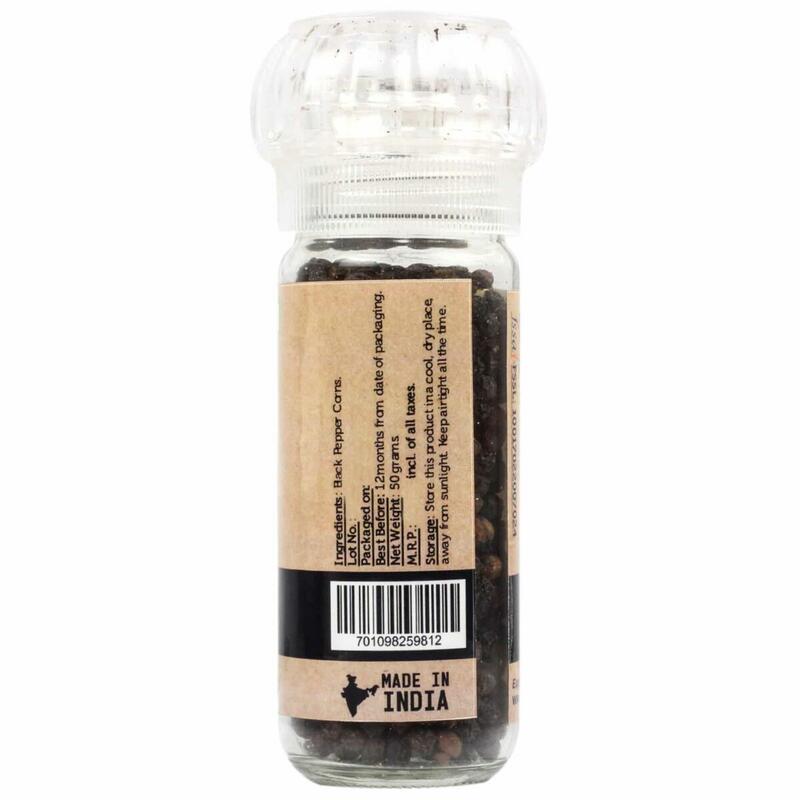 This seemingly small black spice is packed with an array of rich properties that can improve your health. 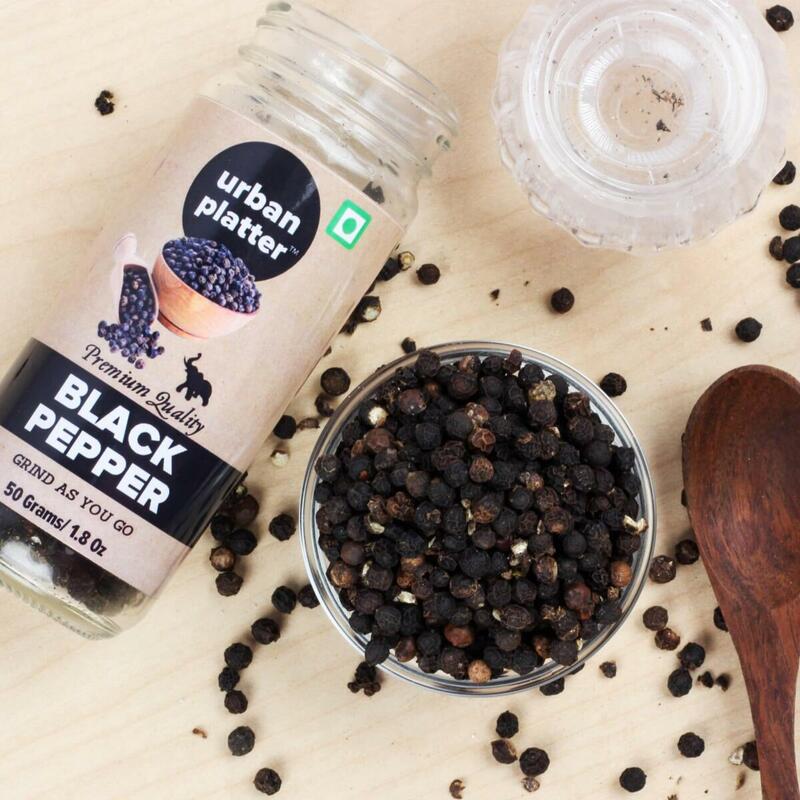 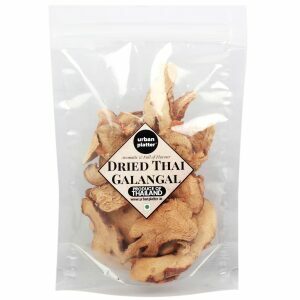 Essential nutrients such as manganese, potassium, iron, dietary fiber, and vitamins C and K can be found in Black Pepper. 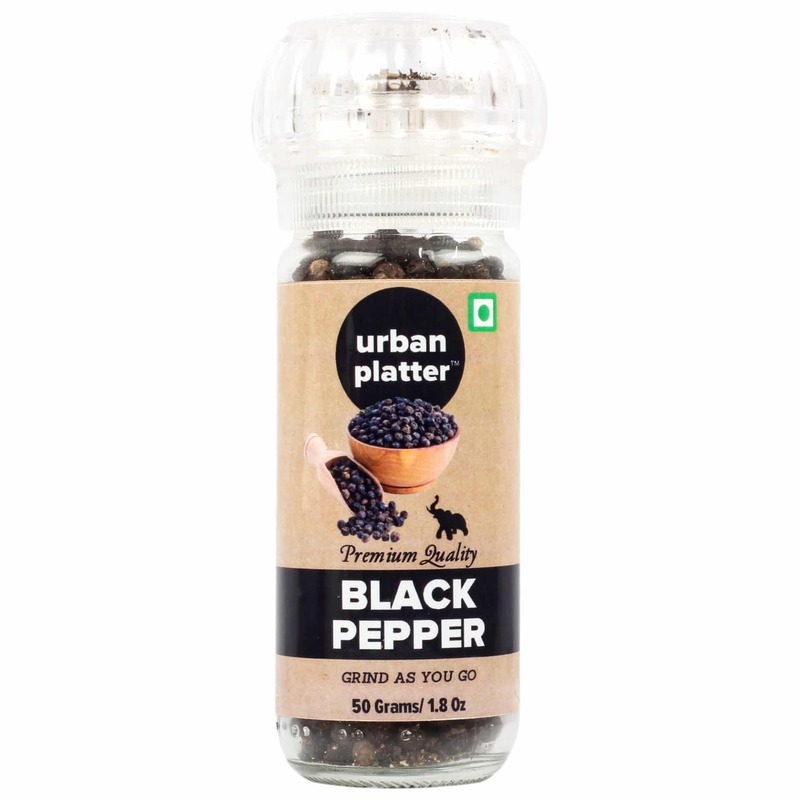 Black Pepper can be employed in the preparation of soups, barbecue sauces, pickling and as a main ingredient in a variety of curry powders. 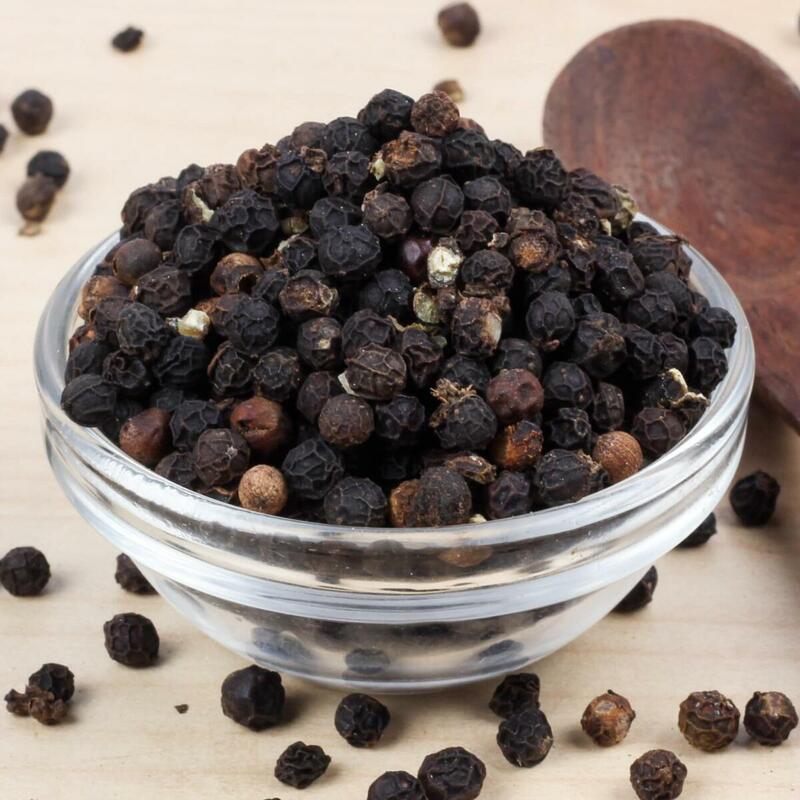 Black Pepper has antibacterial, antioxidant and anti-inflammatory properties, which make it an amazing medicinal spice.